Duke Sandwich Company franchise business opportunity. 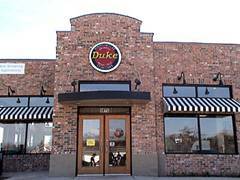 Free Duke Sandwich Company business franchise information. After almost a century in business, Duke Sandwich Company has created an effective, easy, and enjoyable opportunity for franchisees in the South Eastern United States. At Duke Sandwich Company, we strive to see that our franchisees are thoroughly trained and have the right tools in place to run a successful local business. Let us show you how to join the nearly 16 billion-dollar sandwich industry and become part of Duke Sandwich Company. There are thousands of options out there. And for those of you who have been seriously considering becoming a franchise owner, you know there are a lot of gimmicks and trends that could distract a serious business owner from the bottom line; running and maintaining a successful business. Duke Sandwich Company will still be standing when all the fads have faded. We specialize in time-tested, quality products that create a loyal customer base and make our name and presence felt in any community. We offer products that give customers a better choice than typical fast food, fast serve restaurants. And unlike many places that alter their menus to fit ever-changing trends, we serve the same great products you enjoyed when you were a kid; just like mom used to make. Our Franchise System offers you the chance to be in business for yourself, but not by yourself. With extensive and thorough training, we make sure you know every aspect of your new business from proper spreading techniques to maintaining exceptional customer service. Unlike many other franchise systems that require many employees, late hours, and cumbersome equipment, Duke Sandwich Franchising has created a streamlined and convenient system that will help owners eliminate the headache and hassle often associated with restaurant operation. In the Duke Sandwich Company system, our sandwiches are made fresh every morning. There is no mixing, cooking or cutting involved. All of our original-recipe spreads are ordered from a Duke Sandwich Company commissary and shipped directly to the locations. All Duke Sandwich Company locations serve a variety of spread-based sandwiches, deli-meat sandwiches, and a wide selection of soups, salads and desserts. Each item is created from original family recipes and offers a distinct taste in the multi-billion dollar sandwich industry. Quality products and excellent customer service is what keep people coming to Duke Sandwich Company. We make it simple, we make it fresh, we make it right. Let us show you how to build a successful business on a foundation of tradition and unsurpassed quality. Locations now being awarded in the Carolinas, Georgia, Tennessee, and Florida. To learn more about the Duke Sandwich Company food franchise opportunity, simply complete the form below.